Because of an importance to protect the astronomical equipment against rain, measurement of the cloud cover is an important part of a decision scheme of an independent robotic observatory. 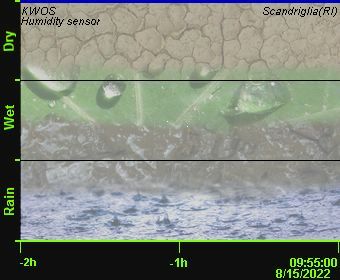 It allows the system to detect the presence of a cloud cover, and up to some extent, supplement the information of observing conditions when the clouds are absent. Sloan, Shaw and Williams (1955) have provided data which show that infra red measurements of the sky at wavelengths above 5 µm (in particular between 8 µm and 14 µm) are sensitive to the presence of clouds. The presence of clouds produces an enhanced signal (which corresponds to an approximate black body spectrum at about ground temperature) above that from the clear sky. There is also an effect of atmospheric humidity which can produce enhanced signals particularly at low elevations. Inexpensive infra red sensors are now available which make all-sky or limited direction cloud monitoring possible without detector cooling systems and thus have low current drain with simplified design constraints. Both clouds and water vapor absorb and re-emit radiation in discrete bands across the infrared spectrum. 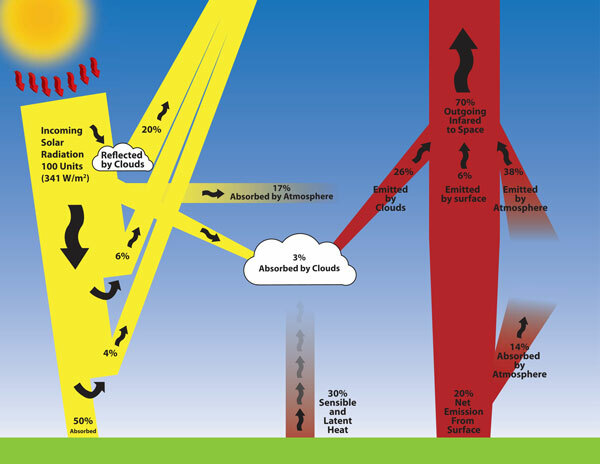 This permits infrared radiometers, including those configured as IR thermometers, to detect clouds, which are warmer than the clear sky, and water vapor, (Sloan, Shaw and Williams, 1955). Werner (1973) described the use of an infrared thermometer to detect clouds. The thermometer's IR sensor was a thermistor bolometer responsive to 9.5 to 11.5 μm. Today IR thermometry is used to detect the presence and temperature of clouds for meteorological research (Morris and Long, 2006). 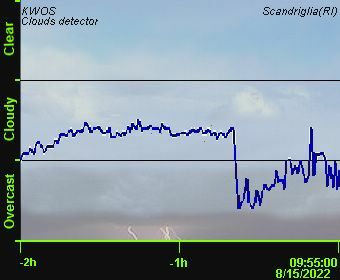 Both professional and amateur astronomers employ various IR sensors and IR thermometers to detect clouds that might interfere with their observations. For example, the Portable Cloud Sensor (Boltwood Systems Corporation) measures the sky temperature by means of a thermopile that responds to IR in a band from 8 to 14 μm (Thompson,9 2005). Idso (1982) proposed the theory of measuring water vapor pressure by pointing at the cloud-free zenith sky an infrared thermometer sensitive to a band from 10.5 to 12.5 μm. He successfully tested his theory by conducting field tests. Recently Maghrabi and Clay (2010) described a method for estimating PW in a clear sky based on the ambient temperature and the signal from an IR radiometer designed for cloud detection (Maghrabi et al., 2009) that they described as a single-pixel IR detector. The detector was a thermopile with a spectral response of from 6.6 to >20 μm. They compared their measurements of the cloud-free zenith sky with PW measured by a GPS receiver 30 km north of their location. From October 2002 to July 2004 their IR system provided an estimate of PW with a root mean square (rms) difference of 2.31mm from the GPS PW. What I have demonstrated with this project is how commercially available IR thermometers can function as IR radiometers that both detect the presence of clouds and provide a means for estimating PW with an rms difference with PW given by a professional (MICROTOPS II( sun photometer of as little as 2.68 mm. This result is within 15% of that obtained by Maghrabi and Clay (2010). The IR thermometer method requires no custom electronics or expensive IR detectors and relies only on a battery-powered, handheld instrument. Nor is an ambient temperature measurement necessary, for IR thermometers incorporate temperature compensation circuitry that corrects for changes in the ambient temperature. This is usually implemented by employing a 2-element detector, one element being shielded from the source of IR being monitored and the other being exposed to the source of IR. The IR thermometer method is very inexpensive, and the second best results described below were from a $20 instrument about the size of a pocket flash memory drive (Kintrex 401). This Clouds Detector Sensor uses a thermopile sensor (MLX90614 family)directed to zenith. This sensor integrates radiation over the 120° of the sky. 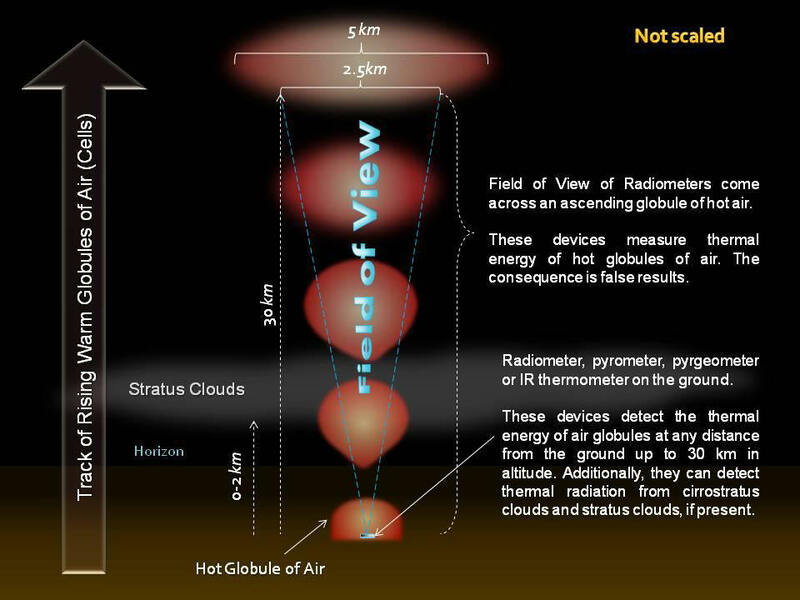 Clear view to the sky is important because any terrestrial objects can cause parasite IR radiation. In fact two zones are measured by the thermopile sensor each with approximately 90° FOV.